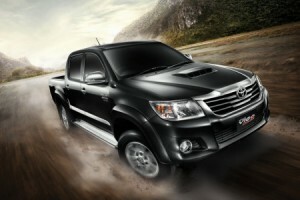 We are vigo4u.co.ltd Thailand’s used car export company full-service 4×4 Dealer/Exporter located in Bangkok, Thailand. Our seasoned experts specialize in locating and acquiring the highest quality 4by4 vehicle at the best price in town and then exporting them to select clients all over the world. and Used Pickup Trucks, SUVs Toyota Hilux Revo, Toyota Vigo Hilux, Toyota Fortuner, Thailand’s largest exporter of Extra Cab Toyota Hilux Vigo Thailand’s largest exporter of nearly new or quality used Extra Cab Toyota Hilux Vigo . At Toyota Used Car Exporter, we’re committed to providing you the best ownership experience you’ll ever have. That means high customer satisfaction both before, during and after the sales process. Our promise to you is an easy transaction, fast quality service and sales experience you will enjoy. Their Goals become our goals. We believe that integrity is the cornerstone of a truly successfully business.